Little kids and guns? You ain’t seen nothing yet. As anyone who’s engaged with any and all media knows, it is the destiny of the crotchety old man to open up and bare the bleeding heart he possessed all along. 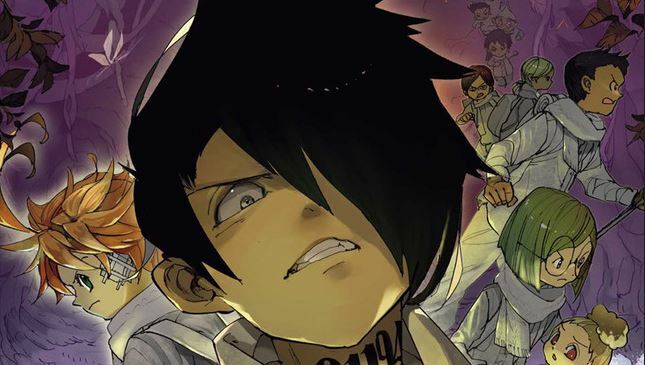 While The Promised Neverland‘s mysterious “Geezer” — the eccentric lone-wolf antagonizing Emma and Ray — is certainly far younger than those stereotypes, he fits the rest of the requirements: bitterly aloof, constantly vocalizes desires to be left alone, hints at a tragic past, and yes, perhaps seeing too much of himself in these bright-eyed youngsters. In adherence to this formula, he attempts to push the Grace Field escapees out of his life, but he takes it a step farther by, uh, making them fall prey to wild man-eating demons. Does The Man begin to crack? 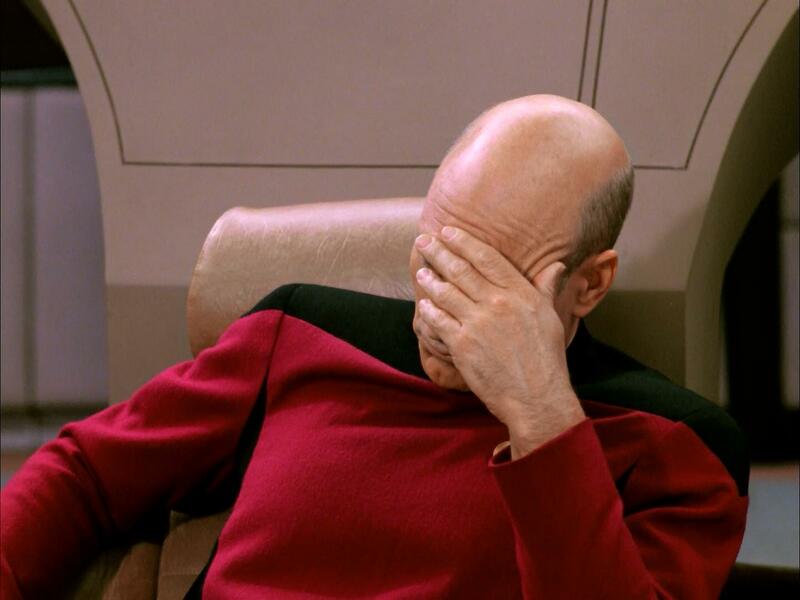 Yes, but the ensuing split between Emma and Ray/The Man voids any radical character development by veering the spotlight from him into Emma’s new predicament: the child-hunting hellscape of Goldy Pond. With Emma on the run and Ray/The Man chasing after the Poachers, we bounce back and forth between two conflicts: Emma uncovering a shocking new conspiracy and The Man’s wavering moral compass clashing with Ray’s abandoned sobriety. It’s possibly the most effective storytelling shift The Promised Neverland has yet initiated: how, exactly, The Man will begin his journey of redemption remains unknown, yet we exit this volume energized in the knowledge he’ll exact revenge on the demonic proprietors responsible for ruining his life. 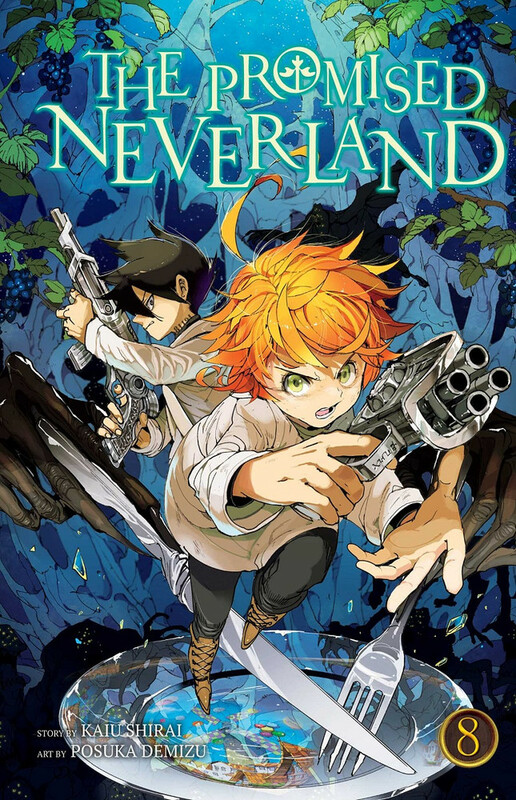 Sadly, this must occur after the ensuing macabre: Goldy Pond, a secret amusement ground for demons to hunt down freshly-shipped children, is but the latest heart-breaking tragedy of The Promised Neverland‘s cruel world. Artist Posuka Demizu has already performed an immaculate job at juxtaposing the sweet, fragile innocence of childhood demonic horrors, but this faux-amusement park is her first take on a happy-smiley masquerade — always the most terrifying of horror setpieces — and the results are nothing less than terrifying. With Jump restrictions being what they are, we obviously aren’t privy to tykes being cleaved in half, but by the time the demons have had their fill, we’ve witnessed more bloodsplatters than we care to witness. Barring Emma and Norman’s discovery of Conny back in the first chapter, the ever-looming threat of demon consumption has only largely defined their peril as opposed to maintaining an overtly active presence; terrible as Grace Field’s secret was, it’s not as if demons prowled its halls or Mother Isabella murdered the orphans in their sleep. 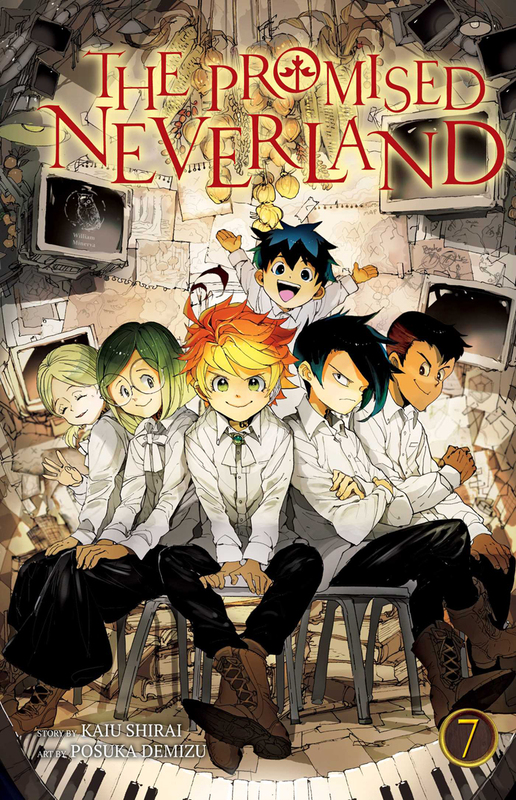 Grim as it is, Goldy Pond is The Promised Neverland‘s necessary reminder of what Emma and co. are up against: failure means death. Her failure is a hard one to swallow, but it’s certainly not one that’ll beat her down; if anything, the presence of a rebellion of other beaten-down kids is all the more proof she can make it. 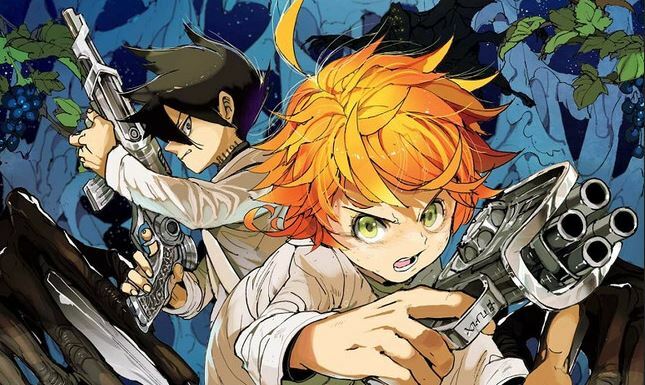 That we, yet again, conclude on another cliffhanger — this time regarding the elusive Mr. Minerva — ensures we remain gripped within The Promised Neverland‘s ghastly clutches. Bleak, but never hopeless: that’s the key behind its success.